We will continue to look at more examples of calculating volumes via the Washer/Disk Method. Please review the Calculating Volumes with Disks/Washers Examples 1 if you haven't already! 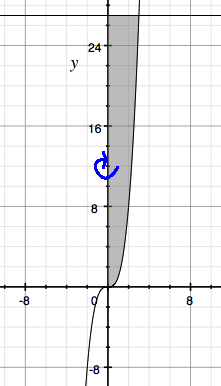 Calculate the volume of the solid obtained by taking the area trapped between the curves $f(x) = x^3$, $y = 27$, and $x = 0$, rotated around the $y$-axis. 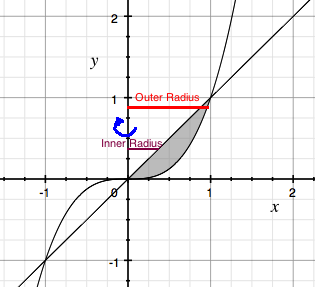 Calculate the volume of the solid obtained by taking the area trapped between the curves $f(x) = x^3$ and $g(x) = x$ where $x ≥ 0$ around the line $x = 0$.